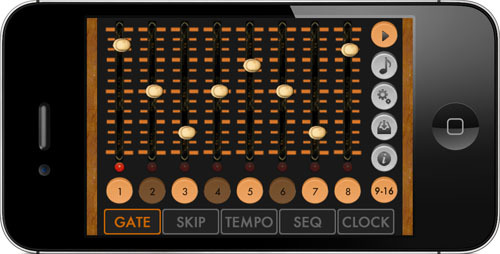 Little MIDI Machine mimics the look and feel of vintage analog style step sequencers used by classic synth artists such as Tangerine Dream, Kraftwerk and Klaus Schulze. Loop melodies, skip steps, move in reverse or randomly, and more! 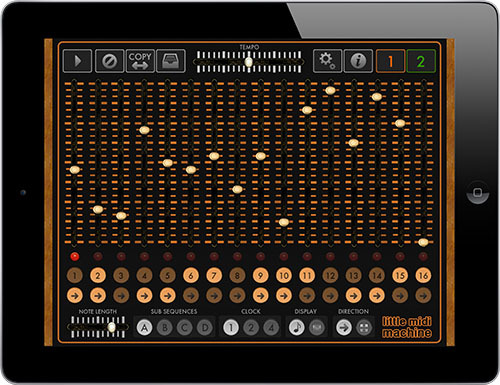 Little MIDI Machine was the first ever MIDI sequencer app released for iOS. 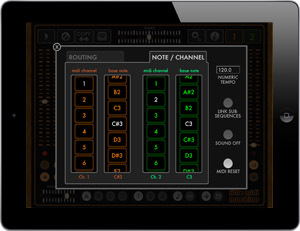 It used the Line 6 original MIDI Mobilizer SDK, which predated CoreMIDI.